Monday sees the release of the Oscar®-winning (Bafta® and Golden Globe® as well) Manchester by the Sea. Casey Affleck* (Gone Baby Gone) stars as Lee, a man whose spare existence is suddenly ruptured when the death of his brother Joe (Kyle Chandler, Carol, The Wolf of Wall Street) forces him to return to the hometown he abandoned years before. Rocked by contact with his estranged ex-wife (Academy Award®-nominee Michelle Williams**, My Week With Marilyn) and the revelation that Joe has made him guardian of his teenage son (Academy Award®-nominee Lucas Hedges†), Lee is forced to face up to painful memories and newfound levels of responsibility as he reconnects with his family. 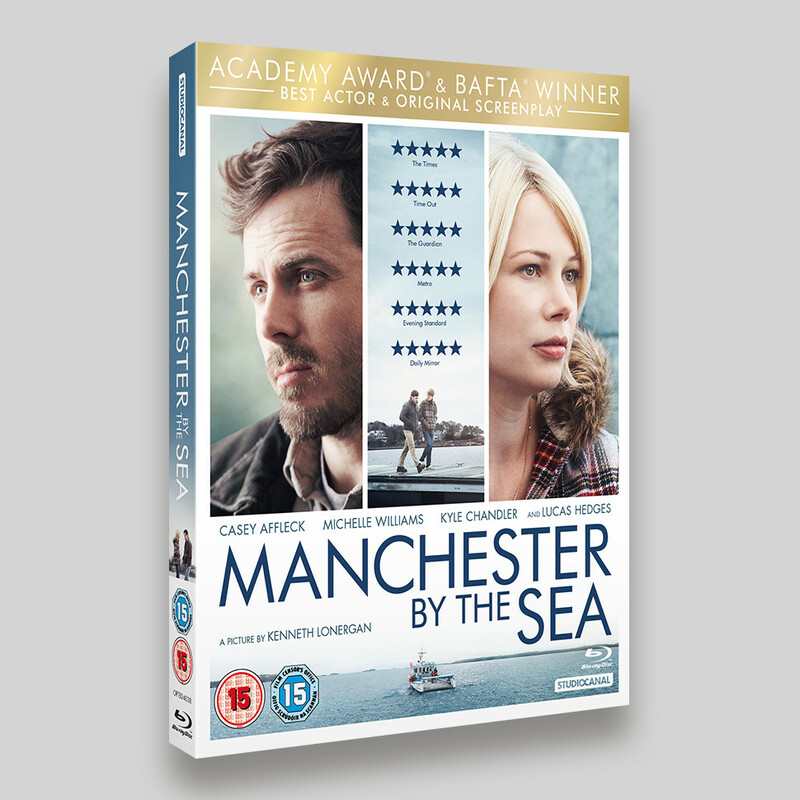 Kenneth Lonergan’s critically acclaimed masterpiece is an extraordinary journey of grief, love and wit that will stay with you long after watching. 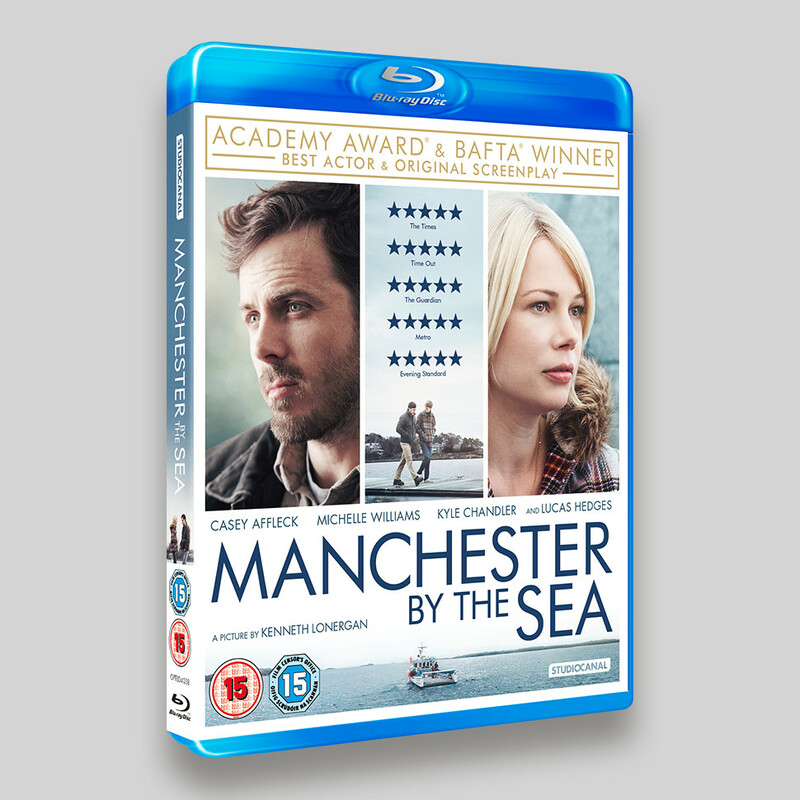 The artwork is based on an alternative theatrical poster art. 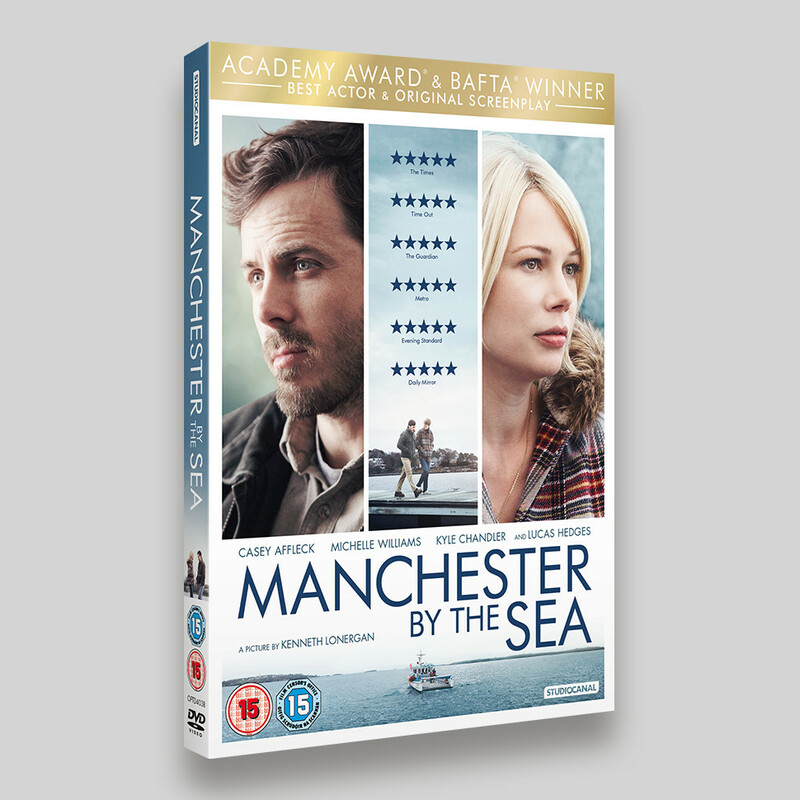 The original poster art was quite minimalist (featuring more seagulls than actors) and the problem it had was striking the balance between an evocative image and representing the story in a more accessible way. 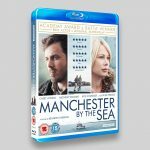 As the film was critically acclaimed it’s understandable why the balance tips toward a more commercial solution. 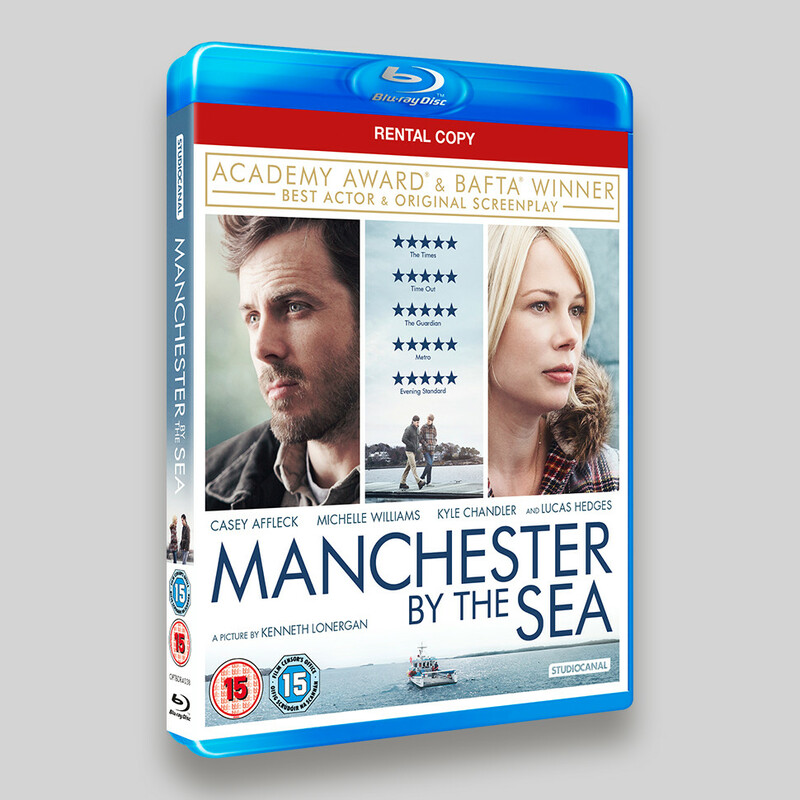 The original image has been used on the spine and disc onbody artwork (always nice to differ from the main front image). 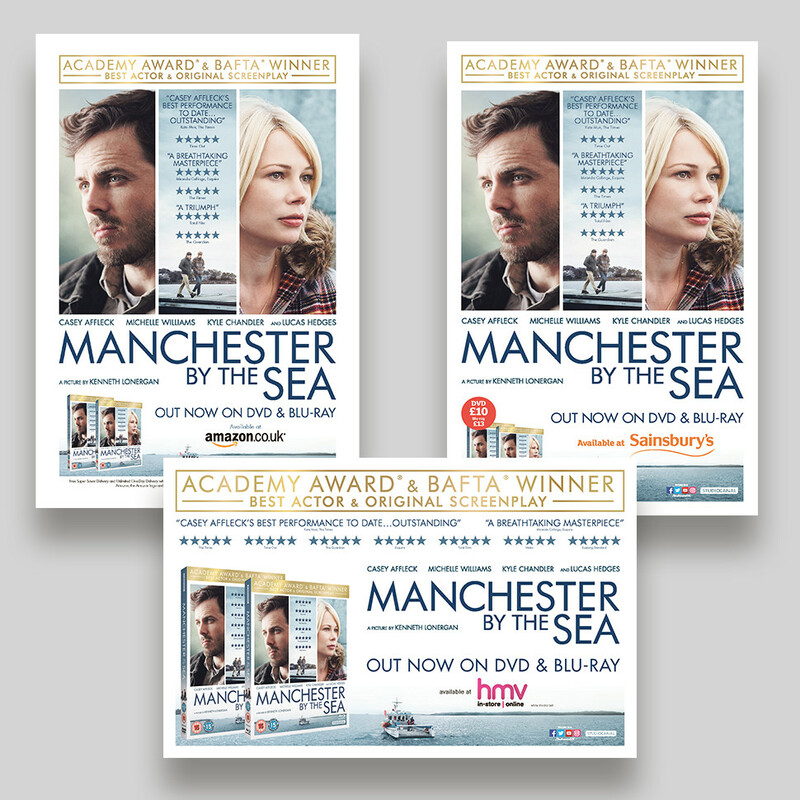 The Oring artwork features a gold hot foil blocking for the award information. 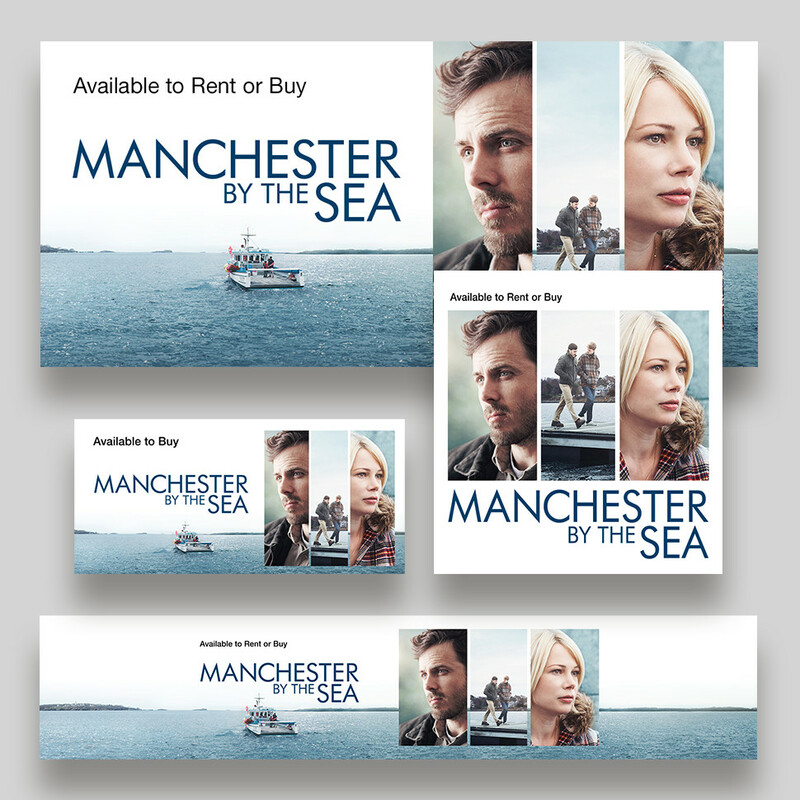 The packaging artwork I created was supported by additional campaign artwork for Amazon Online (including Fire TV) and Press advertising. 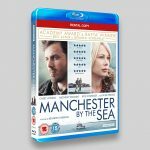 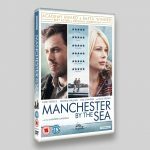 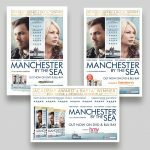 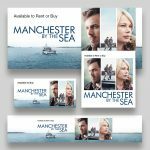 Manchester by the Sea is available from all good retailers on DVD and Blu-ray May 15th.